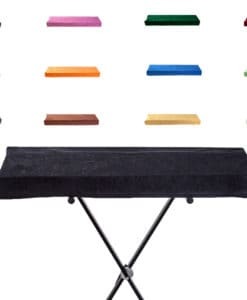 VIKTORY - under cover is a custom made keyboard cover manufacturer for amateur & professional musicians. High-quality keyboard dust cover for CLAVIA Electro 3 61. Available in Microfibre, Polyester or Synthetic Leather. High-quality keyboard dust cover for CLAVIA Electro 3 73. Available in Microfibre, Polyester or Synthetic Leather. High-quality keyboard dust cover for CLAVIA Electro 5 D 61. Available in Microfibre, Polyester or Synthetic Leather. High-quality keyboard dust cover for CLAVIA Electro 5 D 73. Available in Microfibre, Polyester or Synthetic Leather. High-quality keyboard dust cover for CLAVIA Electro 5 Hp. Available in Microfibre, Polyester or Synthetic Leather. High-quality keyboard dust cover for CLAVIA G 1. Available in Microfibre, Polyester or Synthetic Leather. High-quality keyboard dust cover for CLAVIA G 2 X. Available in Microfibre, Polyester or Synthetic Leather. High-quality keyboard dust cover for CLAVIA Lead 3. Available in Microfibre, Polyester or Synthetic Leather. High-quality keyboard dust cover for CLAVIA Modular G 1. Available in Microfibre, Polyester or Synthetic Leather. High-quality keyboard dust cover for CLAVIA Modular G 2. Available in Microfibre, Polyester or Synthetic Leather. High-quality keyboard dust cover for CLAVIA Modular G 2 X. Available in Microfibre, Polyester or Synthetic Leather. High-quality keyboard dust cover for CLAVIA Nord C 1. Available in Microfibre, Polyester or Synthetic Leather. High-quality keyboard dust cover for CLAVIA Nord C 2 D. Available in Microfibre, Polyester or Synthetic Leather. High-quality keyboard dust cover for CLAVIA Nord C 2. Available in Microfibre, Polyester or Synthetic Leather. High-quality keyboard dust cover for CLAVIA Nord Electro 2 61. Available in Microfibre, Polyester or Synthetic Leather. High-quality keyboard dust cover for CLAVIA Nord Electro 2 73. Available in Microfibre, Polyester or Synthetic Leather. 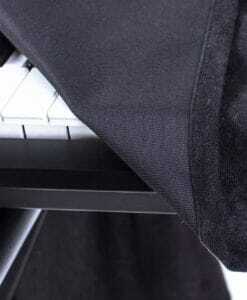 High-quality keyboard dust cover for CLAVIA Nord Electro 3 73. Available in Microfibre, Polyester or Synthetic Leather. High-quality keyboard dust cover for CLAVIA Nord Electro 3 Hp. Available in Microfibre, Polyester or Synthetic Leather. High-quality keyboard dust cover for CLAVIA Nord Electro 4 D Sw 61. Available in Microfibre, Polyester or Synthetic Leather. High-quality keyboard dust cover for CLAVIA Nord Electro 4 D Sw 71. Available in Microfibre, Polyester or Synthetic Leather. High-quality keyboard dust cover for CLAVIA Nord Electro 4 Hp. Available in Microfibre, Polyester or Synthetic Leather. High-quality keyboard dust cover for CLAVIA Nord Electro 5 D 61. Available in Microfibre, Polyester or Synthetic Leather. High-quality keyboard dust cover for CLAVIA Nord Electro 5 D 73. Available in Microfibre, Polyester or Synthetic Leather. High-quality keyboard dust cover for CLAVIA Nord Electro 5 Hp 73. Available in Microfibre, Polyester or Synthetic Leather. High-quality keyboard dust cover for CLAVIA Nord G 2. Available in Microfibre, Polyester or Synthetic Leather. High-quality keyboard dust cover for CLAVIA Nord G 2 X. Available in Microfibre, Polyester or Synthetic Leather. High-quality keyboard dust cover for CLAVIA Nord Lead 2 X. Available in Microfibre, Polyester or Synthetic Leather. High-quality keyboard dust cover for CLAVIA Nord Lead 3. Available in Microfibre, Polyester or Synthetic Leather. High-quality keyboard dust cover for CLAVIA Nord Lead 4. Available in Microfibre, Polyester or Synthetic Leather. High-quality keyboard dust cover for CLAVIA Nord Lead 4 R. Available in Microfibre, Polyester or Synthetic Leather. High-quality keyboard dust cover for CLAVIA Nord Lead A 1. Available in Microfibre, Polyester or Synthetic Leather. High-quality keyboard dust cover for CLAVIA Nord Lead A 1 R. Available in Microfibre, Polyester or Synthetic Leather.